Youth sports have changed significantly over the past 10 years. Most youth athletes are competing year-round now with multiple practices each week and games or tournaments on the weekend. In-between seasons there isn’t much time, maybe only two to three weeks of rest and recovery. So, it’s no wonder that repetitive injuries can collect on your youth athlete at times throughout the year. What can be done about these injuries? Can we address them proactively? Or can we only react after the fact? One intervention that can make a big impact is weightlifting. We have already covered our position on the safety and benefits of weight training for youth athletes in this blog: CLICK HERE. Whether youth athletes are in or out of season, weight training can help stave off breakdown from repetitive motion micro-trauma or help build muscle for more resilient athletes, respectively. The purpose of this blog is to discuss the benefits of strength training for youth athletes and lay out protocols for in-season and out of season strength training. Strength training will begin a hormonal cascade that will help rebuild the affected tissues. 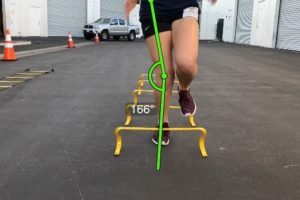 In summary, strength training is great for youth athletes and, as has been laid out in this blog, is beneficial for a multitude of reasons, including helping rebuild tissue and improving fitness. Two general protocols for training were presented to accommodate both in-season and out of season athletes. If you’re not sure how to implement these protocols, a strength coach/trainer or physical therapist can help individualize a program for your athlete!